"Ideally, when you're sick, a health care professional prescribes you a medication, you take it as directed and you get better," said Jonathan Watanabe, PharmD, PhD, associate professor of clinical pharmacy in the Skaggs School of Pharmacy. "But what happens a lot of the time is the medication regimen is not optimized. In other words, the prescription may not be exactly appropriate for your indication — not quite the right medication or dose — or you just don't take the medication for whatever reason, don't take them as directed, or the medication causes an adverse event or a new health problem." Here's an example of non-optimized medication therapy: You come down with the flu and visit the local hospital's emergency department. A doctor prescribes Tamiflu, but you don't fill the prescription. It's too expensive or you don't have time or energy. Your symptoms worsen and you end up back at the hospital, and eventually in the Intensive Care Unit (ICU) — all at great cost to yourself as the patient, as well as to the hospital and insurance company. While the estimate is the best researchers can make based upon available data, they acknowledge uncertainty in the probabilities of the predicted outcomes. Watanabe said better coding and tracking systems, now being rolled out in many health systems, will improve monitoring of medical outcomes related to medication therapy — and help prevent problems. 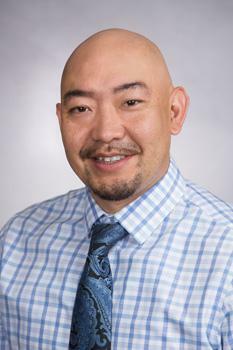 To improve medication-related care, Watanabe and co-authors wrote that they would like to see a systematic and coordinated effort to break down prescriber-pharmacist silos and expand comprehensive medication management programs, in which clinical pharmacists have access to complete medical records, improved dialogue with other members of a patient's health care team and input as a medication is prescribed — similar to what is now taking place at many U.S. Veterans Affairs clinics.